As corporate organizations are rapidly growing, the need for organizing data has become increasingly vital. We see a new terminology has emerged to the forefront and is gaining fame among most modern-day business developers: Big Data. How has the term emerged is quite an interesting question. Let’s see. When organizations perform statistical research on market competitors, they require a lot of information on them. Without data, it becomes extremely difficult for organizations to understand how the market is working. Put aside the data of the organization itself, the need for data increases and far outweighs the specific requirement on which the storage is initially built. When traditional methods of data storage on particular hardware start failing, your need for bigger servers, more memory and larger disk space apparently increases. So what’s the best possible solution you got there, to adjust your Big Data? An option would be to move it to an external server location with a vast amount of manageable storage and resources – on OpenStack for instance. The benefits of storing Big Data on OpenStack far outweigh the benefits of any. 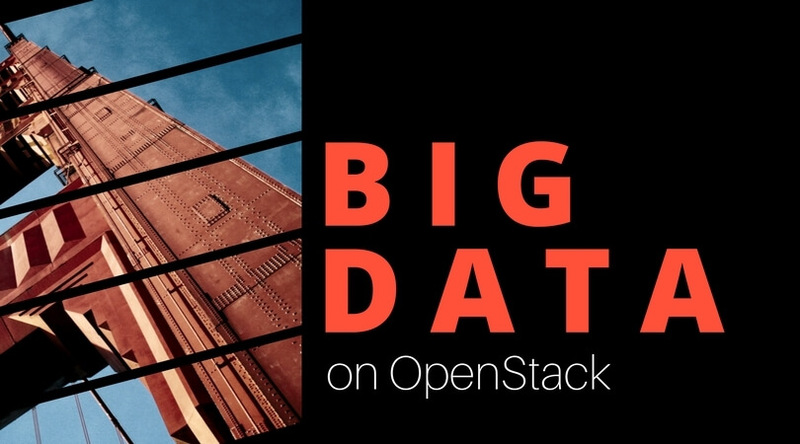 Let’s look at why Big Data on OpenStack is a better option. If you are looking for a robust and flexible open source cloud environment for your businesses, then OpenStack is a great option for you. OpenStack was created to give rise to a uniquely remarkable cloud computing solution which earned its dominance within the software world. For some, OpenStack is viewed as the near future of cloud computing. OpenStack gained recognition among multiple enterprises. Some of the reliable names include eBay, PayPal, Yahoo, etc. It becomes the stable cloud platform ground for adopting and running Infrastructure as a Service (IaaS). Organizations prefer it as a viable solution because it helps them organize their servers and scale them when needed. This is what makes OpenStack a preferred choice for storing Big Data. One of the many factors which make OpenStack stand among competitors is its fast-growing community. With individuals taking interest in enterprise solutions and big data, OpenStack sees a gradual increase in the number of contributors over time. Organizations which consider OpenStack a robust cloud solution for their digital platforms agree that the IaaS cloud environment provides greater flexibility, increased operational efficiency and is financially efficient. They get more space to be innovative and introduce new ideas to bloom businesses. When we discuss Big Data solutions, organizations are compelled tend to move towards availing options that are highly secure. If it’s a matter of cloud security than most organizations are searching for less difficult options such as adopting containers for storage. OpenStack can interconnect a number of virtual machines or bare metal instances with a single tenant. The environment also supports digital signing and certification integration using a mix of tools. Most data analyst teams today believe that OpenStack is a handy solution because it allows them to use containers for their productive usage. This enables them to minimize the demand for solutions and help them work in a much peacefully secure and stable environment. As data is more easily accessible to individuals, the opportunity to run analytics quickly anywhere becomes more imminent. Big Data Solution benefits range from increased portability to reduced analysis time and potential enhanced results. So you see the benefit of moving Big Data on OpenStack Cloud Environments are numerous. You can store, perform, analyze and do much more without observing any future data analyses hassles. If you haven’t considered moving to the OpenStack till now, give it a try. Check out our free trial of Big Data services public cloud below or sign up here.